No conference has gone through more of a tectonic shift in the past few years than Conference USA. 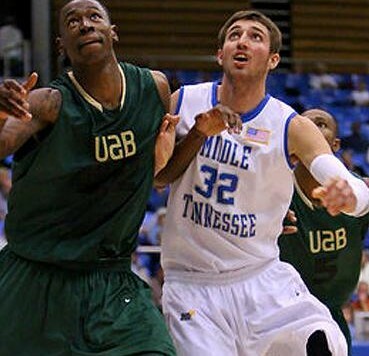 The league lost teams such as Memphis and Tulsa to the AAC and replaced them with the likes of Middle Tennessee and Florida International. The league has taken a hit in terms of prestige, but it still features good teams at the top and some depth in the middle. Last season UAB surprised the league by sneaking the automatic bid, and then surprised the country by toppling Iowa State in the first round of the NCAA tournament. The Blazers return a lot of talent, but it would be a mistake to pencil them into the tournament again. For starters, UAB finished fourth in the league both in KenPom rating and in the standings despite having the lowest ranked strength of schedule in the conference. UAB finished 12th in the league at 2-point efficiency, and 8th in turnover percentage. The offense was not good for much of the season, but the Blazers’ defense, which held opponents to shooting just under 46 percent on 2-pointers and just under 32 percent on 3-pointers last season, saved the team’s season. I would expect UAB to improve offensively this season thanks to the team ranking 345th in experience last season. Generally an offense will improve if the lineup is together and has a chance to coalesce a bit better. Last year’s regular season champion was Louisiana Tech. However, the Bulldogs lost in overtime to UAB in the second round of the Conference USA tournament, and might have missed their window to make the tournament. Tech loses three seniors off last year’s team and promising freshman Xavian Stapleton, who shot 55 percent inside the arc, transferred to Mississippi State. If it’s not UAB, the league favorite might be Old Dominion. Although it finished two games behind Louisiana Tech in the league standings, Old Dominion had the best KenPom ranking in the league, finishing 2015 at 66. The Monarchs went to the NIT semifinals last season, and that postseason experience should help them this season. Old Dominion had a relatively tough league schedule last year, only playing UAB and UTEP on the road, so a more favorable league slate this season could see the Monarchs improve their record by a couple games. Old Dominion senior Trey Freeman looks like an early player of the year candidate, as the guard had a 27 percent assist rate and just a 12 percent turnover rate, and he also took nearly a third of the team’s shots while playing. He’s clearly both the team’s go to scorer as well as its catalyst, and could send the team to the tournament for the first time since 2010.